Spring is in the air, and new life is emerging from once-frozen ground. Bikes which spent the winter indoors hibernating are emerging from their dens (or living rooms, garages or storage units) hungry for miles. 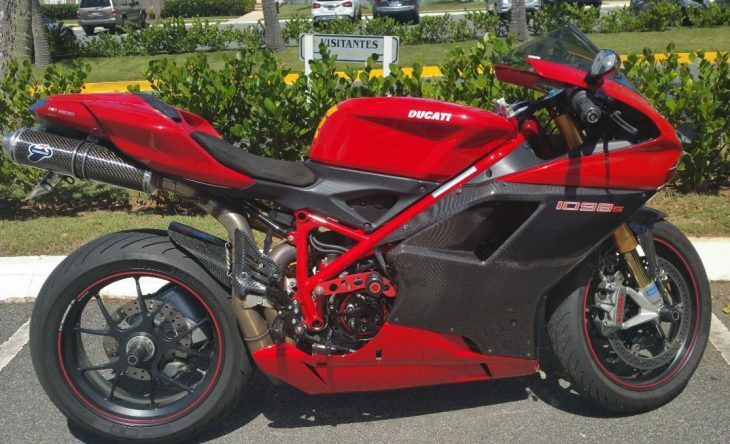 Of all the mileage-hungry bikes we have seen thus far this year, I propose this 2007 Ducati 1098 S example as the most malnourished of the lot. Now, normally the "S" model does not warrant RSBFS attention; after all, we all like our "R" bikes better (like this one, for example). But sitting in "as new" condition with but SIX miles on the digital clocks, this 12 year old bike has only experienced a half mile for each year of its life! Condition warrants posting, even as some readers wonder why. RSBFS is a many and varied smorgasbord of interests - from static collections to knee dragging good times - and in striving to cater to all there will invariably be some dissent; everyone is welcome. 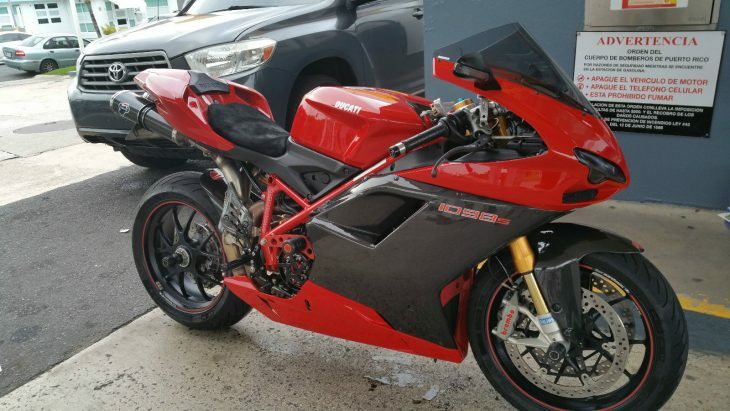 As we learned here, the Ducati 1098 was an evolution of the oft-maligned 999 series. Penned by a new designer who followed more closely in the footsteps of Massimo Tamburini, the 1098 is more directly related (in design language) to the 916 / 996 / 998 series of bikes. 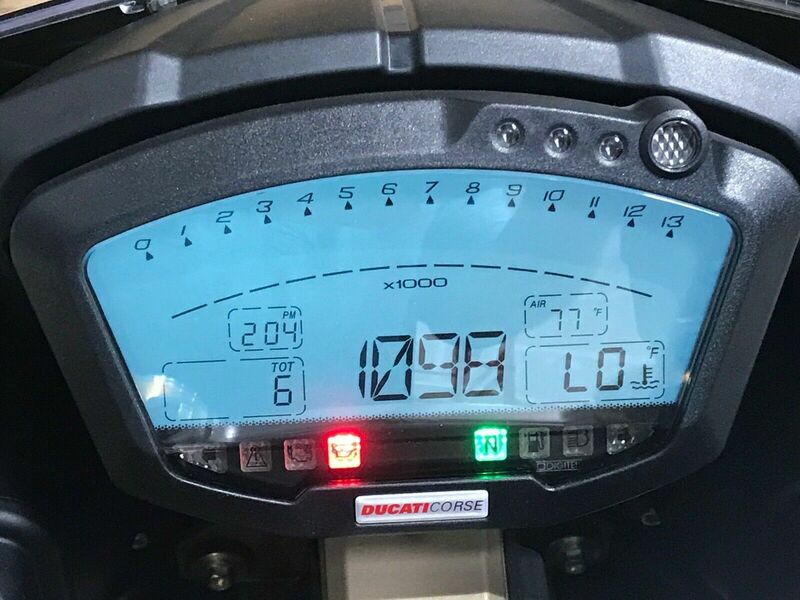 With a 100cc bump in displacement over the 999, the 1098cc motor (as opposed to the 1198cc motor in the 1098 R bike) produced a healthy 160 HP. The S model shares most of its DNA with the base 1098 offering, shaving approximately 5 pounds through the use of different wheels (shared with the R), and an upgrade to Ohlins bouncy bits (as opposed to Showa components on the base model). All in all, the S model was a potent weapon without the sticker shock of the race-bred R bike. Only has 6 original factory miles and is in excellent condition. For sale by owner with clean title. Serious inquiries only - no trades. There is not a ton of information on today's specimen; the seller has not said a lot, and there are fewer pictures than all of us would like. 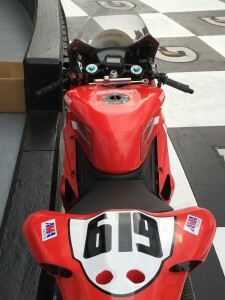 The pictures that do exist show a clean, stock 1098 S. No comments on how the bike was stored, if it was pickled (i.e. drained fuel or added stabilizer, cylinders fogged, etc). Any buyer intending to ride this beauty will undoubtedly need to recommission it with a service - it's doubtful that the valves have gone out of spec in so few miles but the belts certainly will need to be changed. Tires, if original, will also be suspect for any real-world riding. But that's probably not the point about this bike. The real point is condition versus age, and this one has a pretty impression ratio. Had it been an R bike - or something even more rare - I'm sure the reception would be much greater. This one is sitting on a $14,500 BIN - which is sure to light up the comments section with pricing concerns. 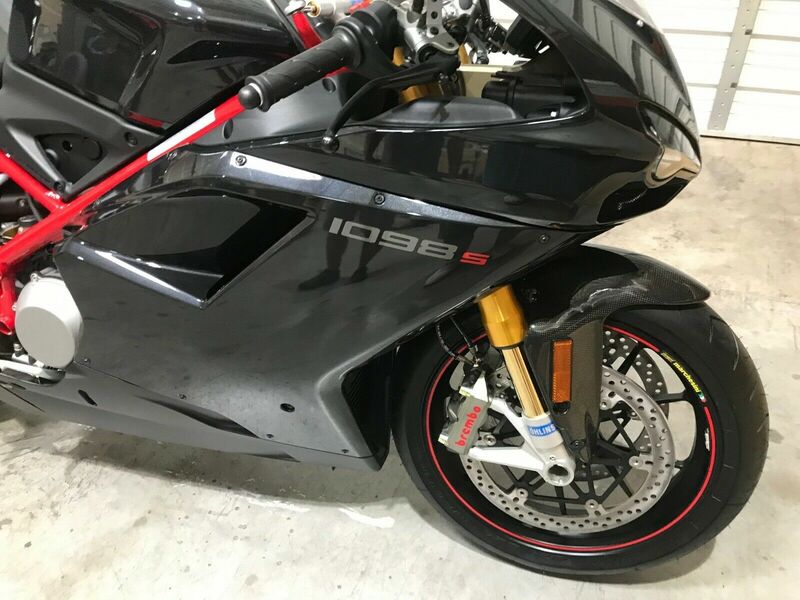 But when you look at it, this is basically a new 1098 S going for the same price as a new 959 Panigale and WAY cheaper than any of the new V4 models. Check it out here, and then let us know if you would rock this new/old bike and why. Good Luck! 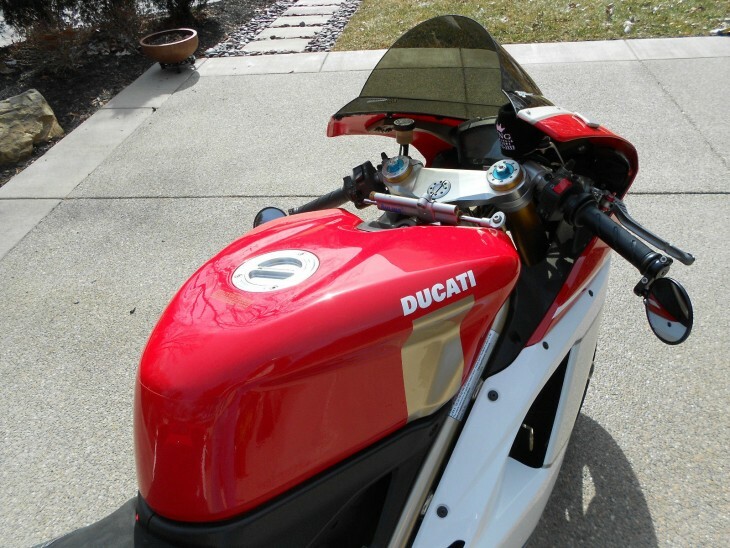 Ducati Superbikes have been the subject, and sometimes the victim, of many different customizations over the years, sometimes making a substantial change to the bike, more often a fashion statement. 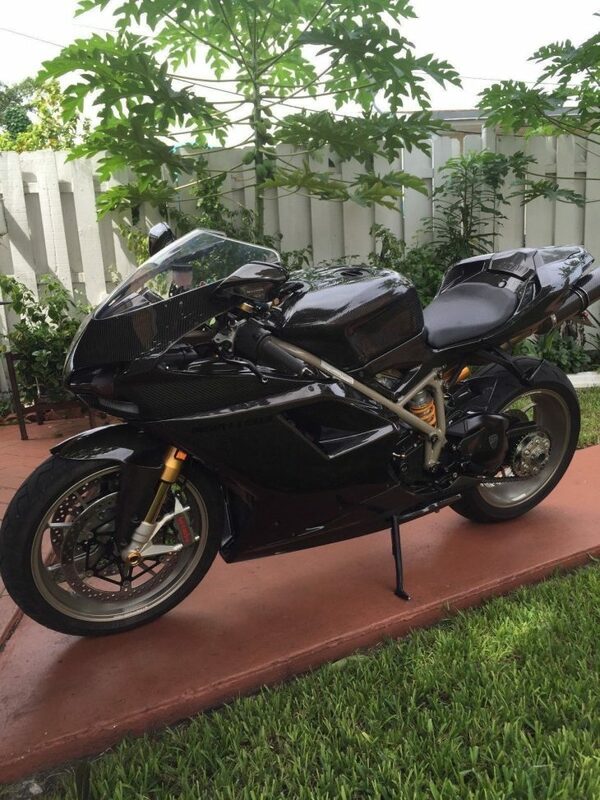 Starting with a fairly collectible 1098S, a Florida owner has done a full carbon makeover, a subtle statement from 30 feet but wild within arms length. 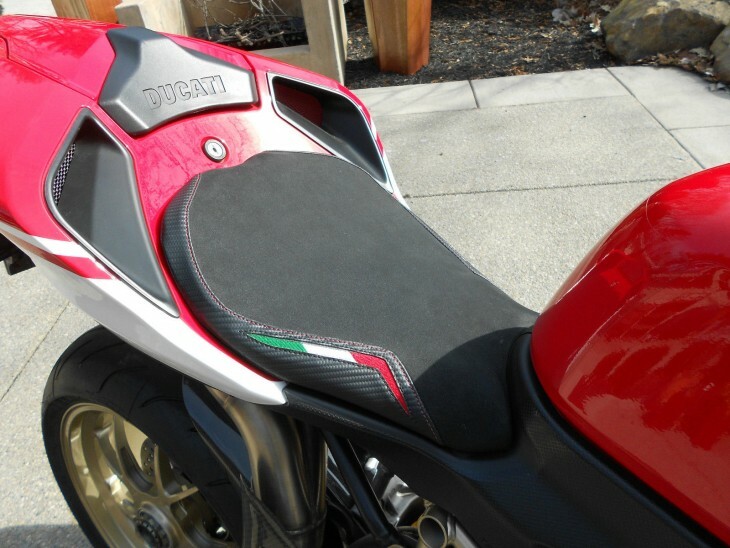 Returning to a more recognizable Ducati look for 2007-08, the 1098 was styled in-house by Giandrea Fabbro. 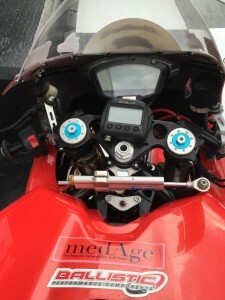 Major improvements were under the fairing, where the EVO engine's additional 100cc's and revised valvetrain layout resulted in a more reliable 160 hp and 90 ft.-lbs. torque. 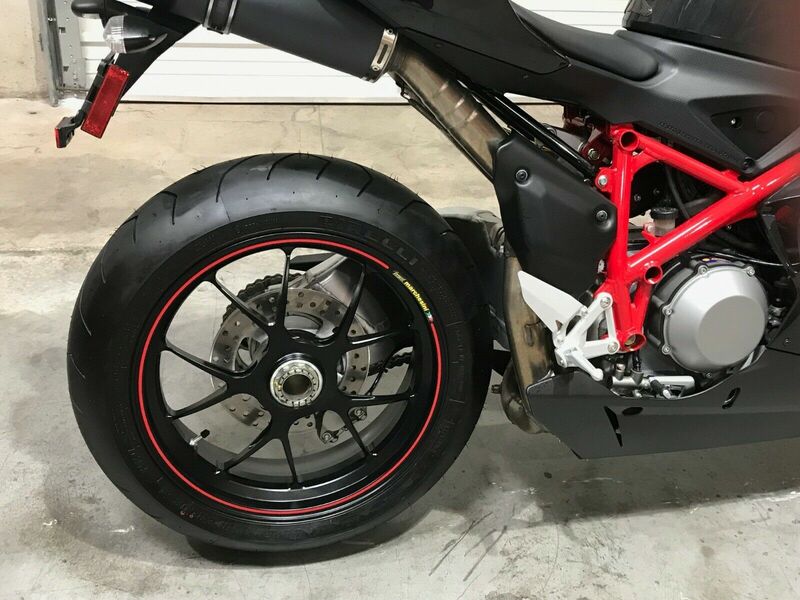 Elsewhere were more standard Ducati superbike features, trellis frame, Öhlins forks and monoshock, giant Brembo brakes this time radially mounted, and underseat exhaust but now with separate mufflers. 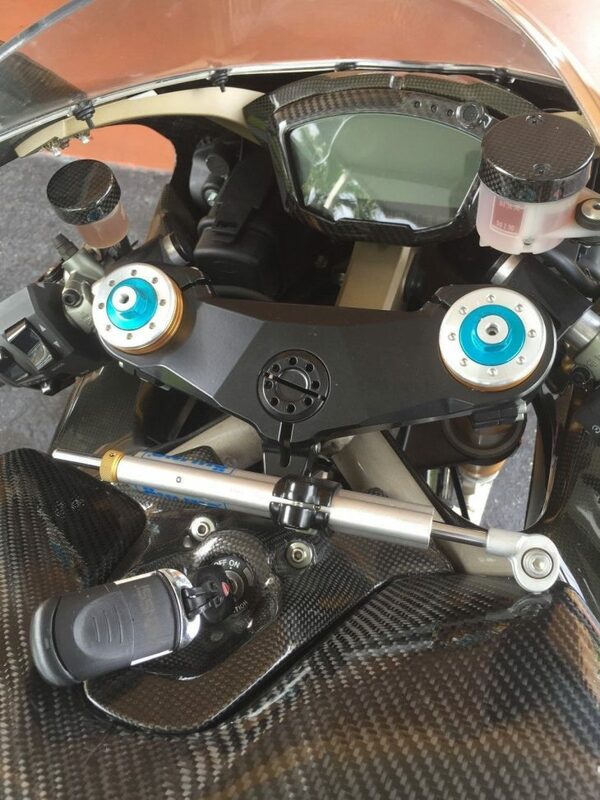 Nice touches on the S include forged Marchesini wheels and Öhlins steering damper, and all 1098's got a great digital dash. 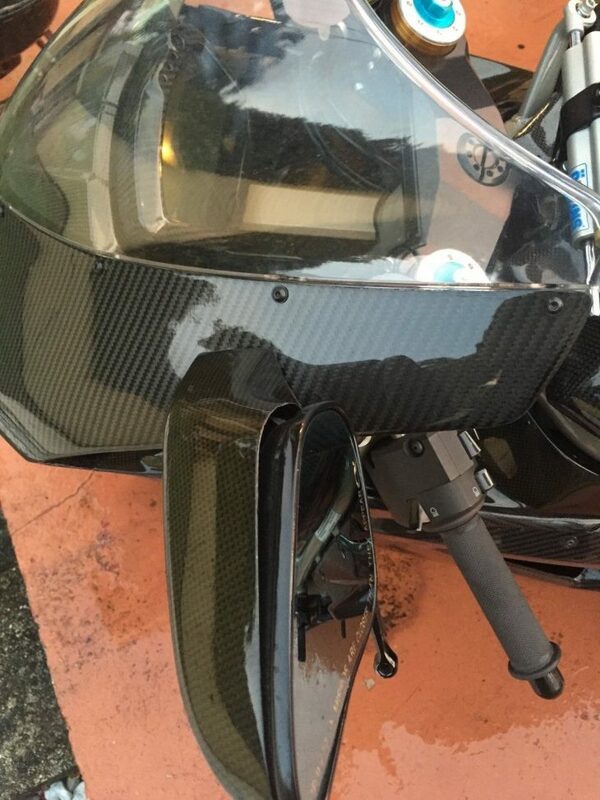 Evidently the principal or now major investor in a carbon bodywork fabricator, the owner of this 1098S has re-imagined every fairing panel in large-weave carbon fiber, and smaller accessories in the tighter fabric. The frame was powder-coated to match the wheels, appearing to be close to the factory gold but hard to tell. Well-pictured in the auction, fit looks good and finish is to a powerful clarity. The fuel tank might be the most complex piece, sealed and lined with fittings for filter and pump. Other more routine upgrades have also been done, such as the seat, levers, and foot controls. 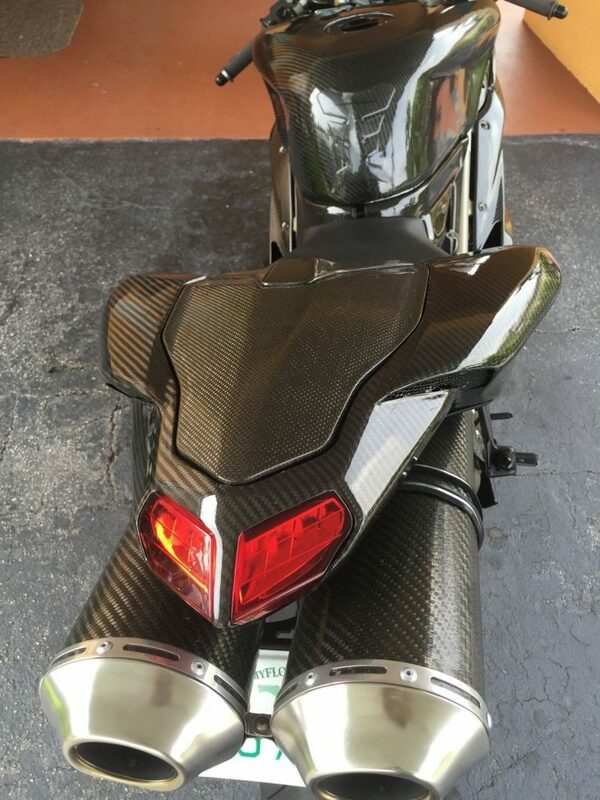 2007 Ducati 1198S full carbon fiber. 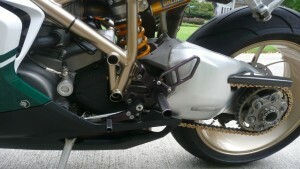 This bike has full exhaust, ECU, frame is powder coated, has rear sets, Ohlins forks, shock, damper, forged Marchesini. This bike has many extras. Just had it serviced. SEE PICTURES. 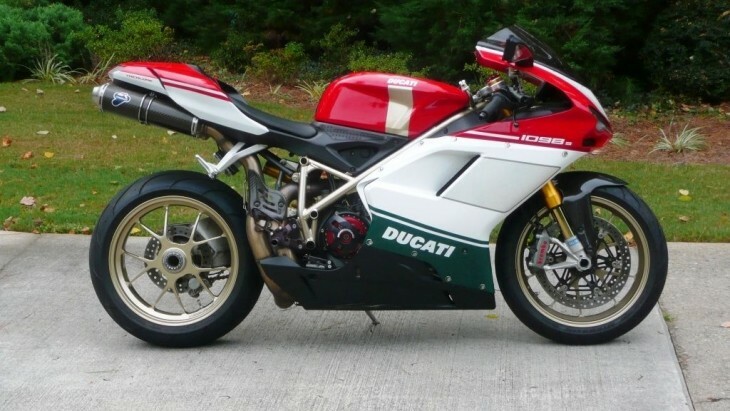 The 1098 was a milestone for Ducati, their Superbikes now simply too much for street riding, and many picked the 848 for that purpose. But it was brilliantly light and quick, and brought two WSBK championships home. 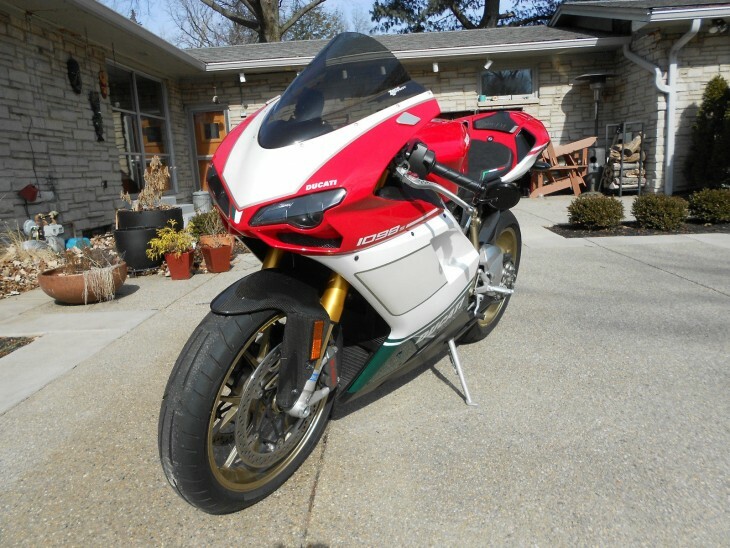 This lightly used 1098S shows off the factory's design and the fabricator's abilities, but doesn't scream. Eyebrows aren't raised from across the street, the walk slows within ten feet, and the oohs and aahs start. 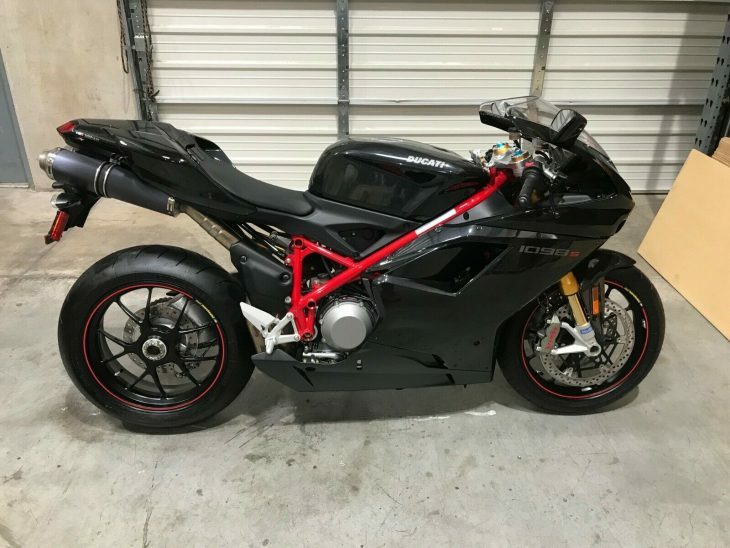 The reserve and buy-it-now don't seem out of hand for an -S, and this might be a great collection starter or a unique bike for a super fan. 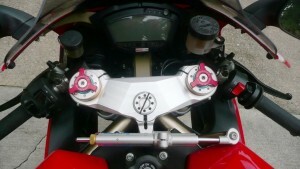 In a little high-stakes WSBK poker, house designer Giandrea Fabbro penned a treatment reverent to the 916 and 996, and powerplant engineers prepared an 1100 with a few beneficial changes to the valve train - just before the rule czars increased twin displacement to 1200cc. 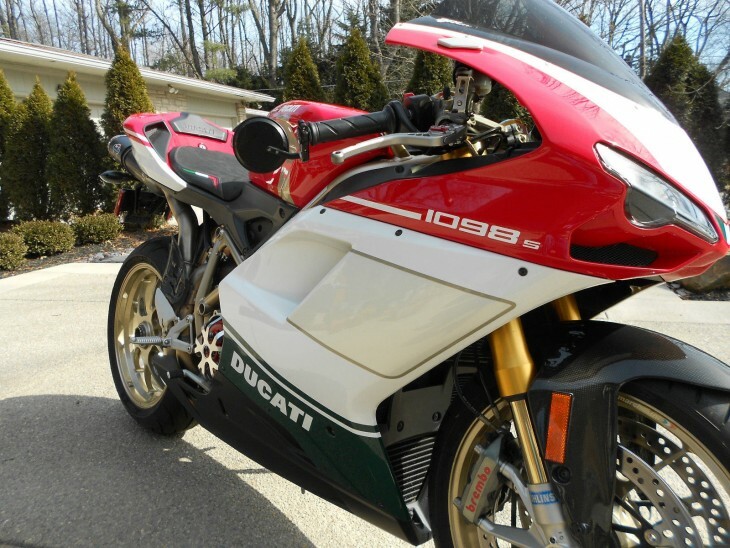 The 1098 was a nice success for Ducati but was shortly succeeded by the 1198. 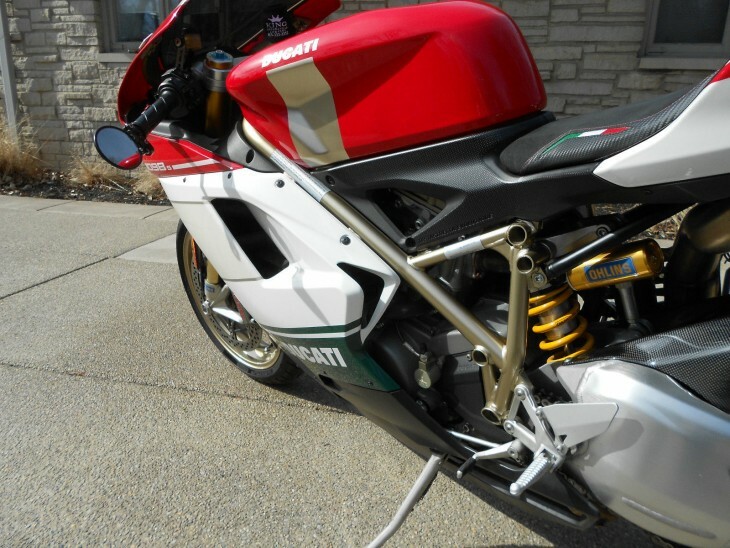 The 1098S-Tricolore was just the thing for an NFL wide reciever with a new long-term contract. 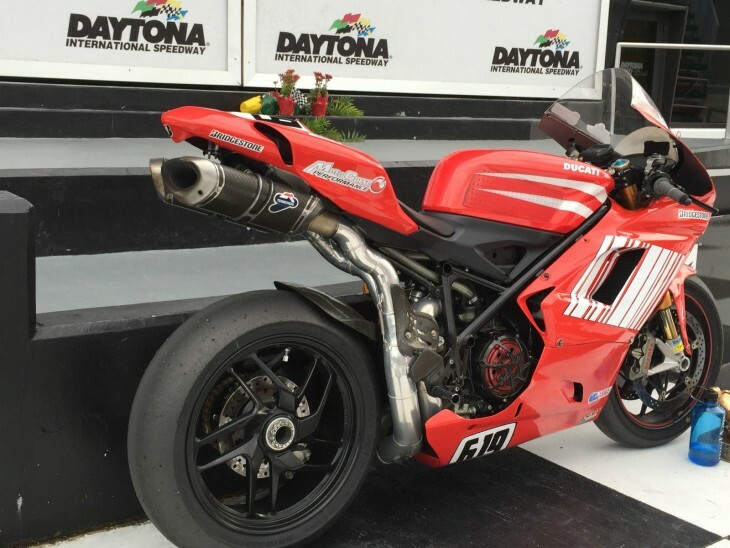 A return to Ducati's superbike roots, the 1098 had a lower look and two-one-two exhaust. Claiming 160 hp and a whopping 90 ft-lbs torque, verifiable by the digital dash and analysis software. 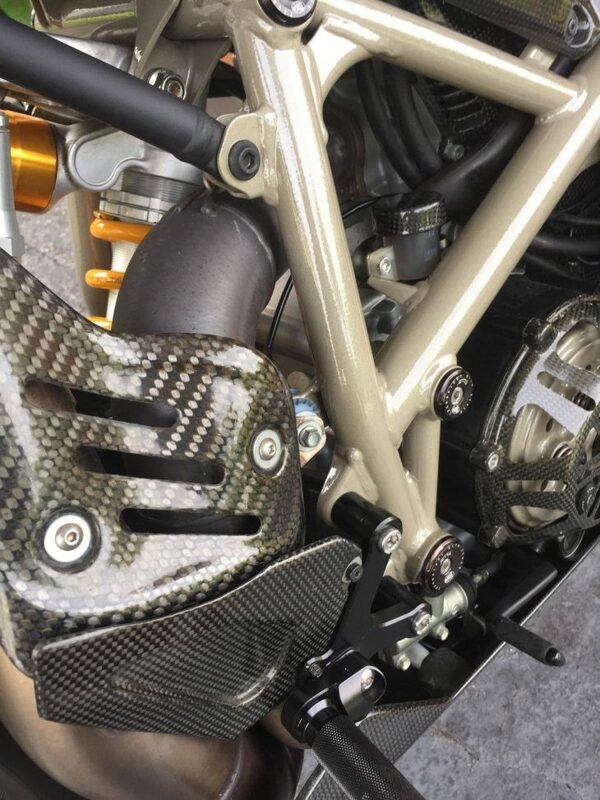 Beside standard superbike fare of DOHC big twin, trellis frame, and dry clutch, the -S sports Termignoni carbon mufflers, forged Marchesini wheels, fully adjustable Ohlins dampers, and carbon fiber just about everything. The Tricolore paint with gold highlights is just the icing on the cake. Offering my 2007 Tricolore. It has been loved and is in perfect condition. 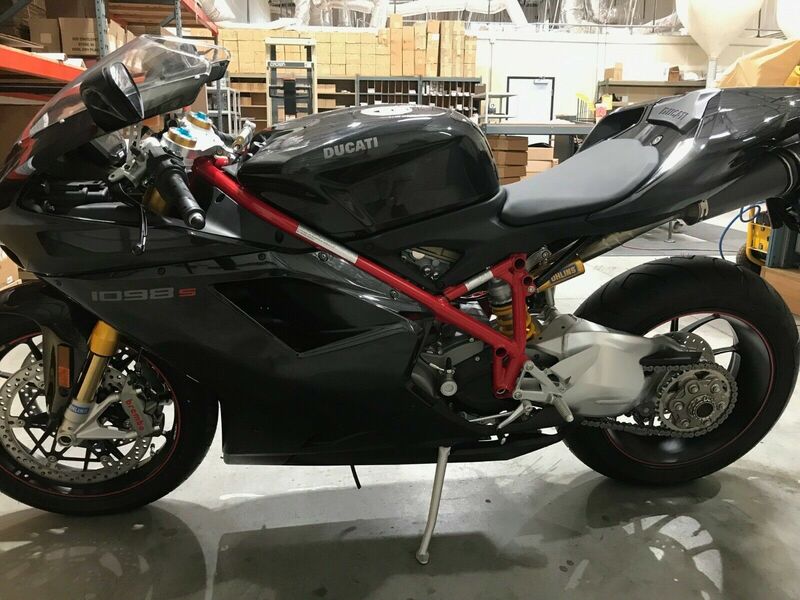 Full Ohlins suspension, Termi exhaust, Suede seat plus original, Carbon fiber rear fender hugger, Yoyodyne clutch slave, new Michelins, new lithium battery, full 3M clear paint protection kit, adjustable levers, SSR open clutch cover, Ducati pressure plate, Tinted windshield. 3100 miles (may go up slightly if weather permits). Always covered and kept in climate controlled storage. Always full synthetic oil. Original owner was NFL player Reggie Brown of the Philadelphia Eagles. All recalls have been completed and documented. Sale includes all books and records plus both keys, stock windshield and stock seat. Note* Stock mirrors have been reinstalled. 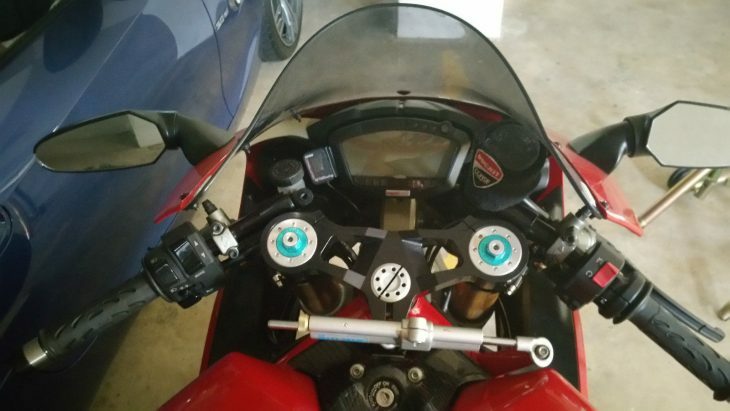 Bar end mirrors were removed and are not included in sale. A beauty and a special 1098, and not an easy bike for the road, Ducati took the R-variant to the WSBK banquet in 2008 and 2011 ( with 1198 cc engine ). Difficult to demo and sometimes even to inspect this time of year, the low miles, right keys, and documentation is reassuring. 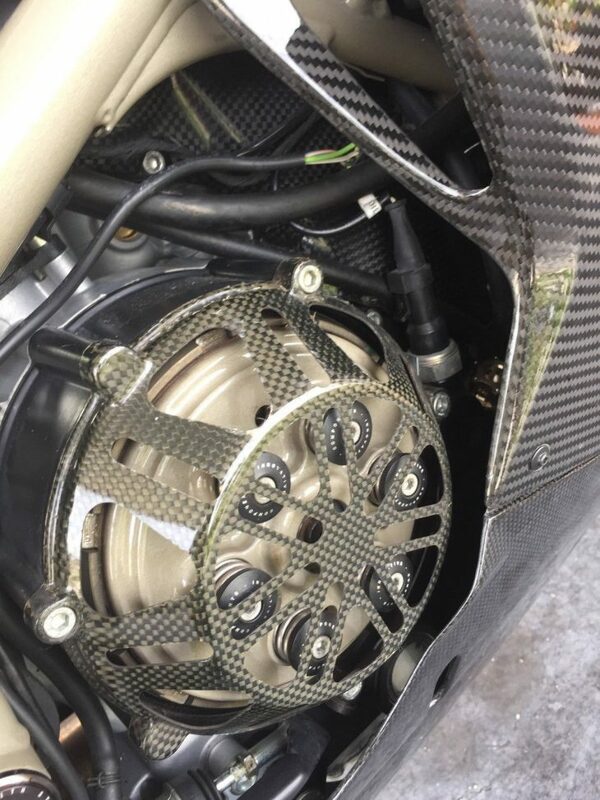 Regardless of the miles, the cam belts will want changing, so put that in your bid computer. Owned originally by a starting Eagles wide receiver Reggie Brown, who never had time to rack up the miles, after a couple of injuries was fighting for his starting spot, and is now coaching college ball in Georgia. Happy New Year, Dec. 31st is not too early to think spring ! Not often you see a sorted current racebike on the market, especially one cosmetically restored. 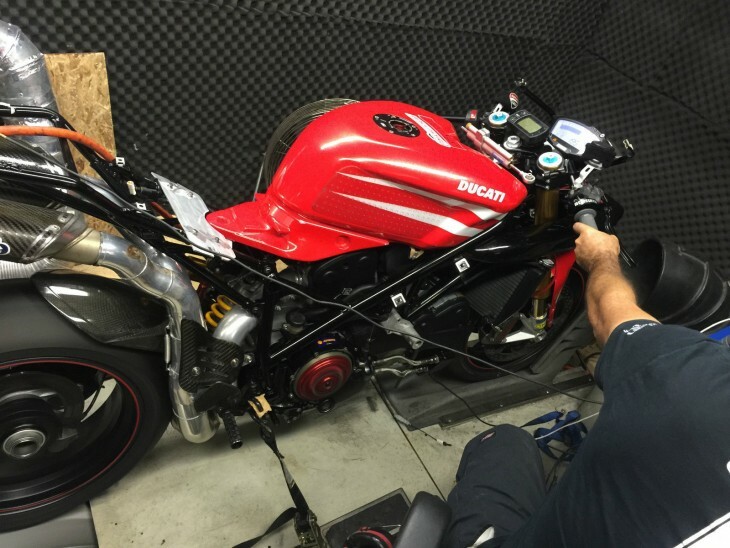 A Ducati 1098S, generally regarded as too much for the street, was the basis for this build which took place last winter. 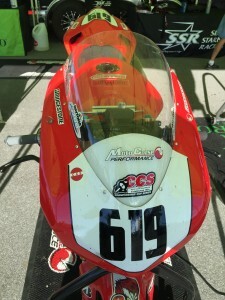 The bike competed in the nine-weekend Championship Cup Series in Florida and placed very consistently to win the CCS SuperTwins Championship in the Florida Division and took the CCS SuperTwins Race of Champions honors as well, congratulations Seth ! Only built in 2007-09 before another increase in WSBK displacement was allowed, the 1098S is a great start for a racebike. 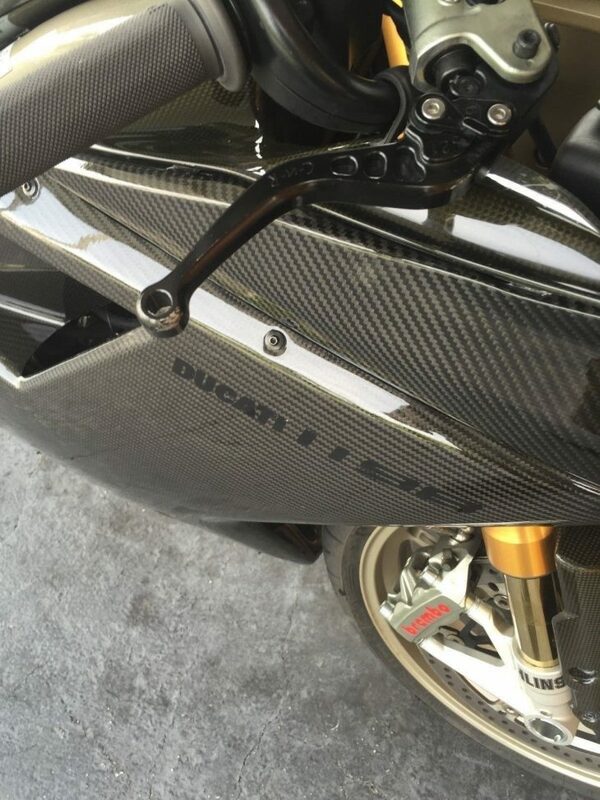 A re-designed cooling system and return to a single-sided swingarm are friendlier to track operations. 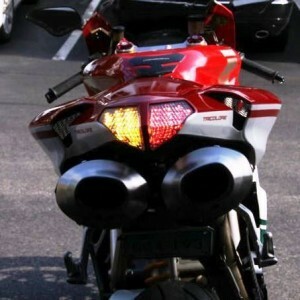 The alloy steel trellis frame holds the Testastretta engine which in stock form is capable of 160 hp. 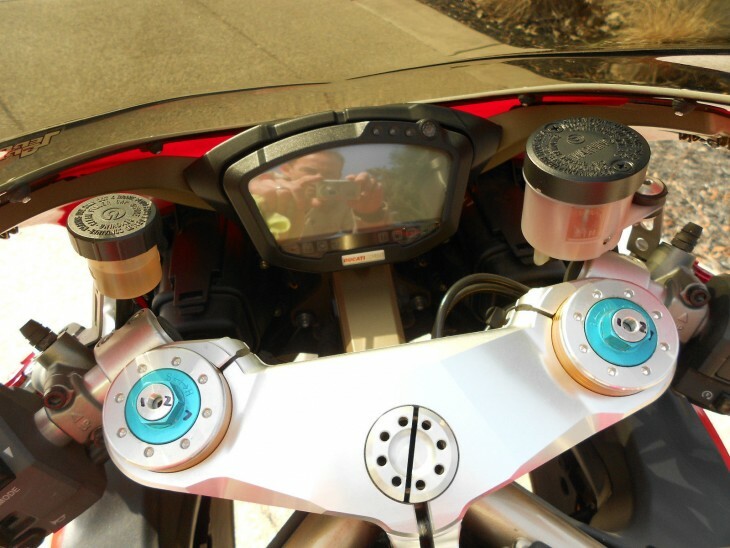 Innovative elliptical throttle bodies improve throttle response. 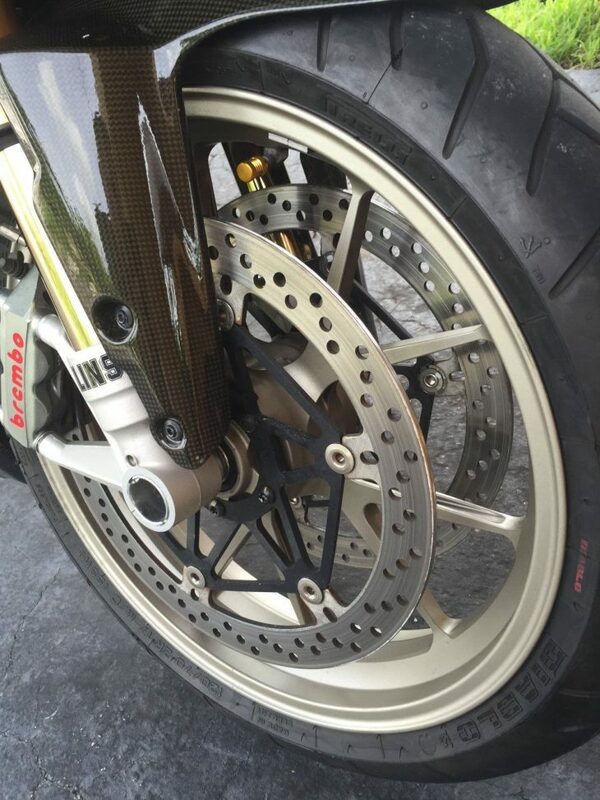 State-of-the-art Ohlins suspension is used front and rear, as are Brembo brakes with 330mm front rotors, 245mm rear. Marchesini forged rims were standard on the S, but racers change their wheels and tires like sneakers. 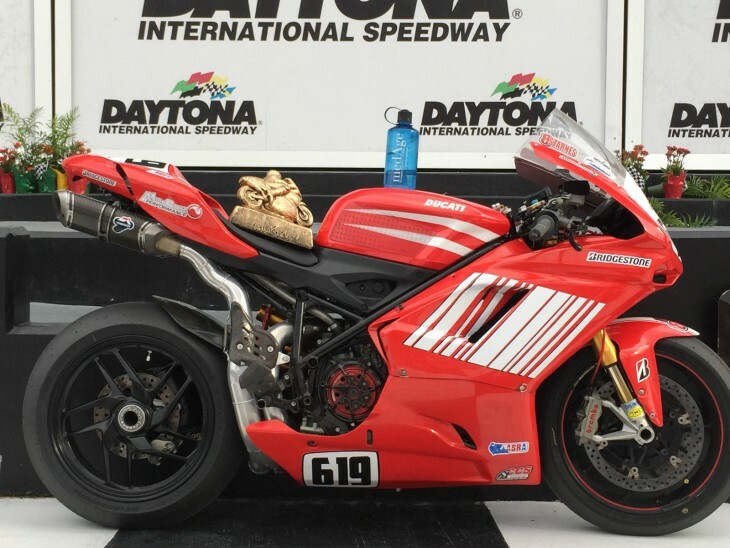 This bike was built in the beginning of 2015 to race CCS Florida and at Daytona at the ROC. Built from the frame up, every piece has been powder coated, painted or replaced. It is in impeccable condition and looks brand new. The motor only has 200 miles on it since rebuilt for the race of champions. The paint job has two weekends on it. 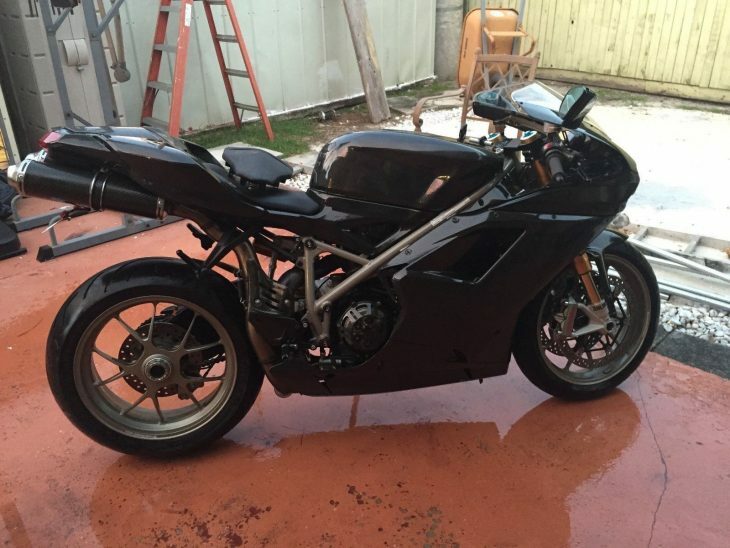 There are a ton of parts on this bike and would cost over 42k to build as I did this year. I am selling it to build something new for next season, nothing is wrong with the bike at all. Best of everything and well put together. 172hp on C12. 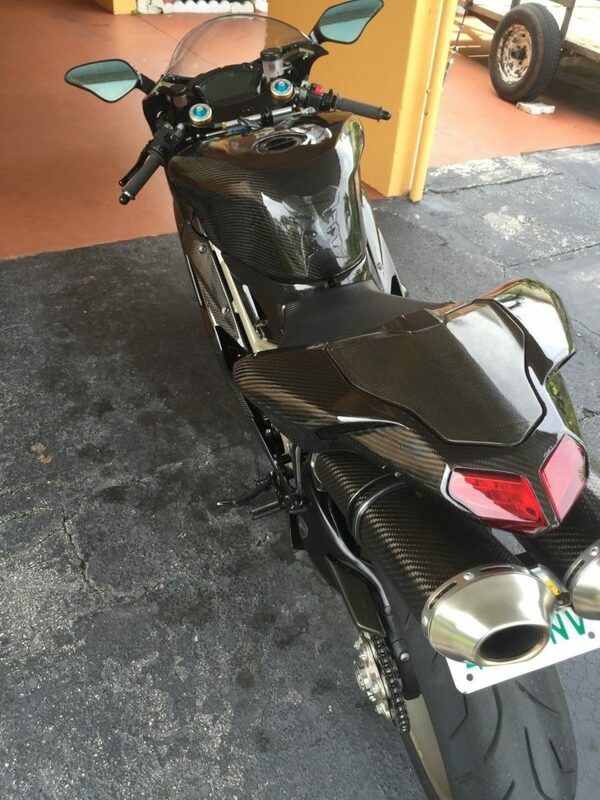 The bike has more mods that I can list here so serious buyers call for more details. Heavyweight, Unlimited and Super twins Legal. 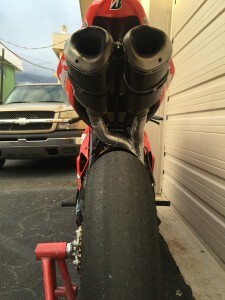 Can run on pump gas and is track day reliable. 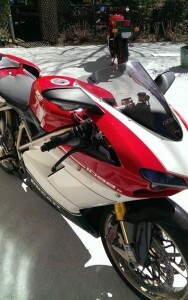 Following the 999 of 2003-06, Ducati returned to a more horizontal look to the superbike with the 1098. 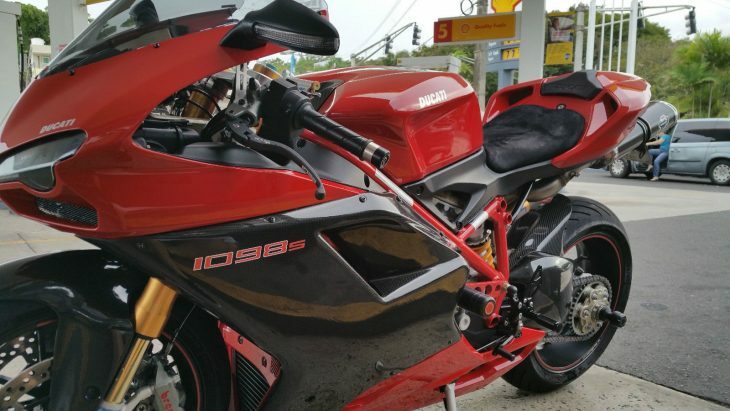 Cadging another 100cc from World SuperBike rulemakers, the 1098 claimed 160 hp, but more importantly a small car-like 90 ft-lbs. of torque. Improvements were made to the valve train and cooling system, mostly ending overheating and making the 7500-mile valve clearance inspection less likely to result in a shim change. 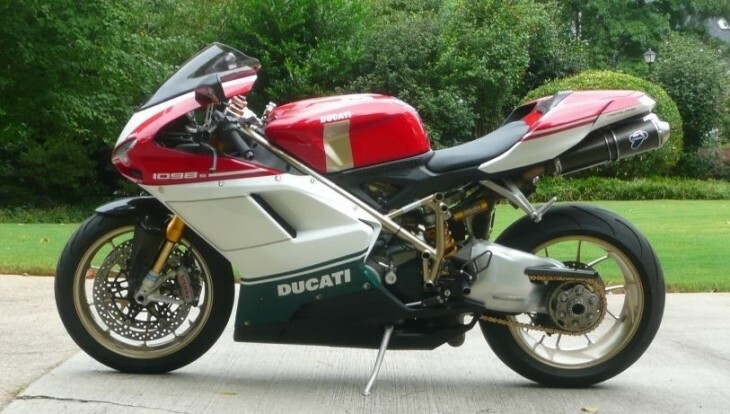 The superbike that for some time claimed the best street-legal torque over weight ratio, the 1098S is capable of an 11-second quarter mile and 170 mph, leading some to say it's too much for the street. The gold trellis frame and Marchesini forged alloys have the chops to keep up. 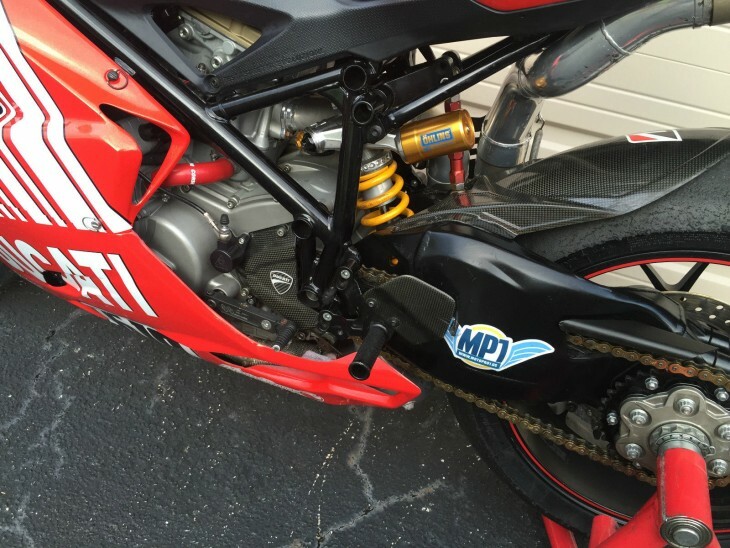 All-Ohlins suspension helps out, with 43mm upside-down forks and monoshock on the single-sided swingarm. Front brakes are 330mm with 4-piston calipers, and the rear is 245mm. 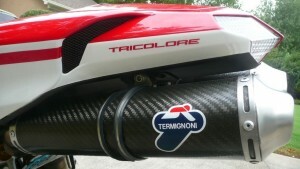 The two-into-one-into-two exhaust begins with a catalyst and ends with twin Termignoni carbon silencers.